The Gourmet Breakfast has always been at the Ranch des Lacs a very privileged moment . A fun time or how to start a day . The Gourmet Breakfast at Ranch des Lacs was 2nd at the 1st National Gourmet Breakfast Trophy in 2017, between the Hotel Palace **** The Collector - Paris 8th and The Plaza Athénée ***** by Alain Ducasse - Paris 8th. Since 2018, a BRUNCH / gourmet breakfast is served to the hotel's outdoor clientele. 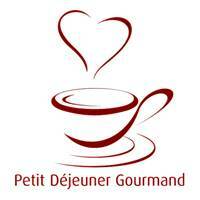 In 2018, Françoise Lahaye had the great privilege of participating in the 2nd Petit Déjeuner Gourmand Trophy in the Jury alongside Christian Le Squer Chef at Georges V.